Stop Wondering and Start Loving! & Improve The Quality Of Your Home's Water! WES Water’s primary areas of focus are water purification, remediation and water filtration in Scottsdale, AZ. With over 30 years of experience in the water industry, we’re the industry expert that you can count on to meet your specific water treatment needs. Our proprietary WES Water Systems provide water conditioning and purification solutions for residential, commercial and industrial applications. Our corporate mission holds us to the highest standards of excellence when focusing on the design, development and distribution of essential products and services, delivering effective, efficient, economical and earth-safe results. Call us today (480) 946-0482. We thrive to deliver personalized customer service and excel at meeting and exceeding customer expectations with the products we provide. From the most brackish water to more immediate residential challenges, our WES Water Systems will provide the right water treatment solution for you. You can count on us as the leading industry expert, meeting all your water treatment needs. 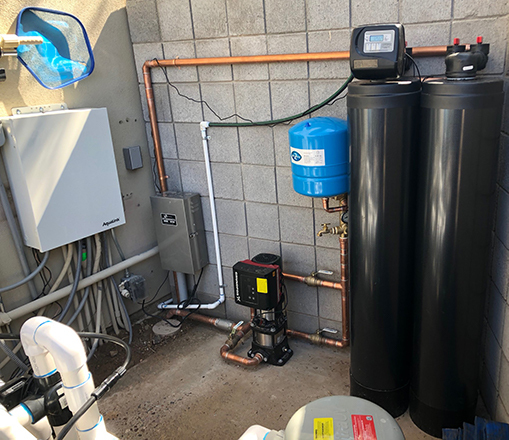 Worldwide Environmental Solutions (WES) has grown from an Arizona based start-up in 1983, into a full-fledged provider of state-of-the-art water filtration systems in Scottsdale, AZ. Over the years, we’ve developed a very diverse product and client base, using an approach that’s both creative and flexible. Our ultimate goal is to find the necessary solutions for our residential, commercial and industrial clientele. We believe that new and existing problems can be resolved with available and developing alternative processes. WES Water is our residential, commercial, and industrial division, where we use the best and latest technologies for the purification and conditioning of the water in your home or business. We’ve positioned ourselves to solve your water problems. It was WES Water that introduced the WES Water Purification System in 1992—a system that still leads the way for purified and conditioned water today! Our ongoing desire is to provide products and services that have a positive health and environmental impact. We are building a platform to change the world, and we look forward to working with you to find and implement the best WES Water Purification System in Scottsdale, AZ. We’ll be happy to provide you with a complete free information packet detailing all of our technologies and water purification solutions. We are not limited to these areas and are willing to travel nationwide and worldwide!